The Montreal-based Ensemble La Cigale. The most prominently featured composers are James Oswald (1710-1769), William McGibbon (1690-1756), and Gen. John Reid (1721-1807), all Scots with careers or connections in Edinburgh and London who were successful in translating the rustic style and melodies of the “noble savage” in the Scottish Highlands into domestic urban entertainment. We hear four excerpts from Oswald’s Airs for Four Seasons, in which each short sonata bears the name of a seasonally appropriate flower: “The Poppy,” “The Ranunculus,” “The Narcissus,” and “The Hawthorne,” which shows off the incisive, but decidedly not prickly, playing of violinist Sari Tsuji. In the midst of the recording, Madeleine Owen offers a set of well-played 17th-century lute pieces (fragments in some cases) from the Rowallan & Straloch Lute Books copied in the 19th century by George Farquhar Graham and transcribed in a modern edition by Wayne Crippa. The title track, a longer set of variations for viola da gamba by McGibbon, is deftly handled by Marie-Laurence Primeau. 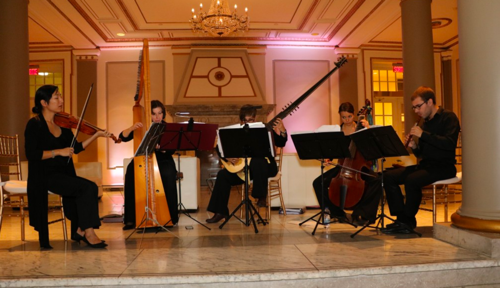 Ireland is represented by music by the blind harpist Turlough O’Carolan (1670-1738), including his “Farewell to Music” and “Carolan’s Concerto,” pieces in which Sara Lackie’s Baroque triple harp is heard to advantage. And she almost steals the whole show with the moving “Anhawdd ymadael” by the Welsh composer Edward Jones (1752-1824). Ensemble La Cigale in concert. Recorder players will delighted with the many solos, both songful and chirpy, played by Vincent Lauzer, especially his rendition of the well-known Sonata in G by Reid. It’s the kind of music that officers like Reid might have played while stationed overseas to remind them of the melodies of hearth and home. The program opens with a mix of variations on the song “John Come Kiss Me Now” by Thomas Baltzar, McGibbon, and Davis Mell, and from John Stuart’s Lute Book, in which everyone has a chance to shine. 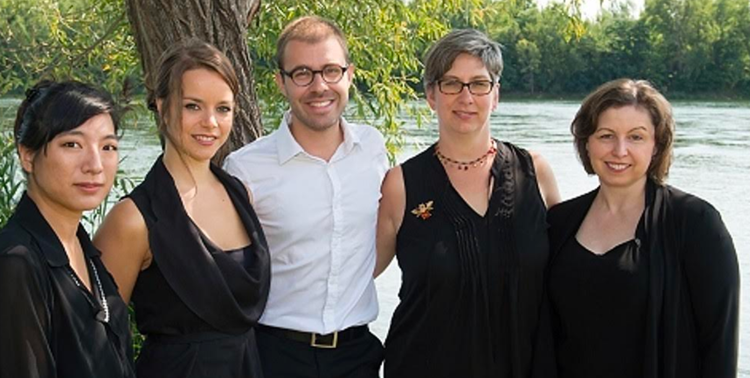 It closes with the ensemble’s arrangement of “A Thousand Thank-Yous” by Canadian fiddler-composer Oliver Schroer (1956-2008), who continued the adaptation of Celtic musical traditions into the 21st century. 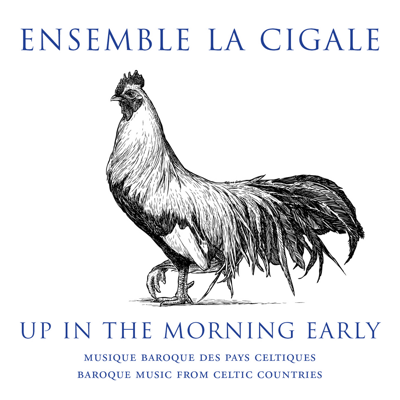 Listeners will want to send their own thank you to Ensemble La Cigale for producing such a warm and engaging recording. 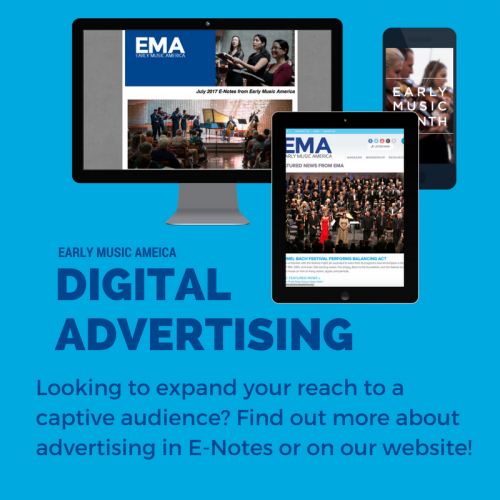 Former EMAg editor Benjamin Dunham has reviewed recordings for The Washington Post and Musical America.